As a resident of Maryland and a Delmarva Power customer, you have the ability to shop and switch to a lower electricity supply rate than what Delmarva Power offers. Below you will find Delmarva Power’s “Price to Compare” as well as competing rates available in your area. Switching is 100% free and can be done in just minutes. By default, all customers in the Delmarva Power territory receive both the supply of electricity and the delivery of electricity through utility, Delmarva Power. In order to capture electric prices below that of the utility, customers are able to switch to “retail electricity providers”. These providers will charge you for the supply of your electricity, and your electricity will continue to be delivered and serviced with the same reliability by Delmarva Power. 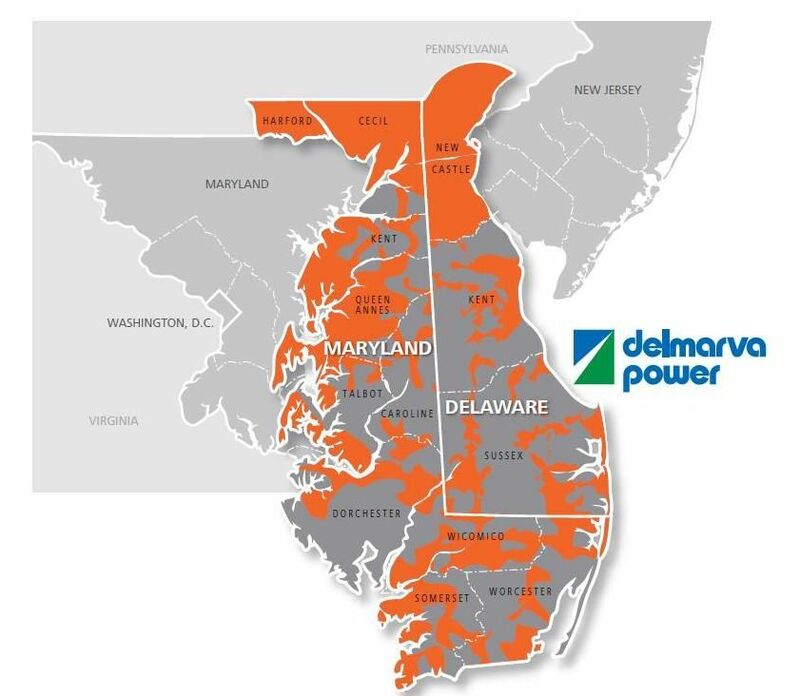 Delmarva Power services more than 506,000 homes and businesses in Eastern Maryland as well as Delaware. On the right side of the screen you will find a free compare and switch tool which will allow you to choose from a number of Delmarva Power electricity rates and providers. Just enter your zip code, click search and start comparing electricity providers. Locate your Account Number on your most recent Delmarva Power bill. In the Compare & Switch tool click on your plan of choice and fill out the online form (you can also call the provider and ask to switch). Confirm the plan and its terms. Wait one to two billing cycles to see the new rate on your bill. There’s no need to contact Delmarva Power – Your new retail electricity provider will complete the switching process for you.